Bertrand Demarcq aka Burt. US callsign : AG8OJ. 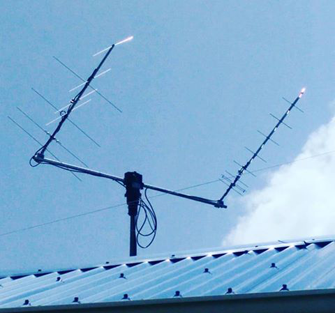 AMSAT FM user ? Please read this Good Operating Practices guide ! FT8 user ? 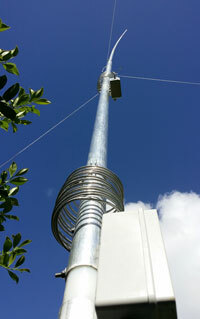 Please read the "FT8 Operating Guide" from ZL2iFB before contact me ! Playing with satellites ? try my predicator software and save passes on your calendar & try sked predicator ! Want your own Azimuthal Projection Map ? 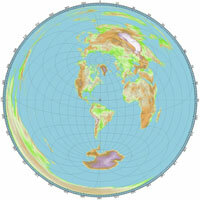 Try my Azimuthal Projection Map generator and get a full size map ! Tired of not having LOTW confirmation from registered callsigns of this service ? I have worked to find a solution : This list give you the best of LOTW users, the last uploaded logbook by DXCC countries. This list is direclty usable on Logger32 under different web address depending the time you are ready to wait for a LOTW confirmation ! Just use this list and get your DXCC increase quickly ! Total callsigns in database : 117 501. 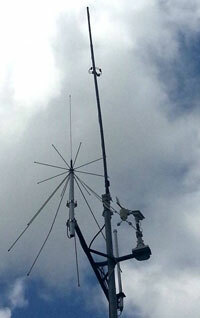 42 184 QSOs since november 23, 2012. 9 872 paper QSL cards sent (23%), 28 747 LOTW QSL confirmed (68%). Are you in my logbook ? - 62 DXCC on satellites : (45 confirmed). My distance record on AO-07 : 7465km with DJ8MS, AO-73 : 5660km with LW2DAF, AO-85 : 5744km with EB1FVQ, AO-91 : 5868km with K6JTT, AO-92 : 3858km with PT2AP, CAS-4A : 3548km with K4FEG, CAS-4B : 6545km with F4DXV, EO-79 : 4640km with PY2RN, FO-29 : 8861km with UT1FG, IO-86 : 3858km with PT2AP, SO-50 : 13723km with W7BMD, XW-2A : 4223km with PU2RAS, XW-2B : 3576km with VA3KSF, XW-2C : 4640km with PY2RN, XW-2D : 3403km with K8YSE, XW-2F : 4640km with EA8HB. Please let me know if we can break a new distance record on satellite ! I still work on 160 and 6m DXCC. 160m WAS, I still need : Alaska, Delaware, Hawaii, Kansas, North Dakota, Nevada and South Dakota. 6m WAS, I still need : Alaska, Hawaii and Wyoming. Please contact me if you can help ! I playing with Icom transeivers : IC-7300 / IC-910 and a Acom 1000. I am using exclusively computers under Linux with scripts and Web logging / alerts / Dashboards home made softwares (Python & Php). Almost perfect 360° horizon (-1° to 2° max horizon) + Caribbean sea at just 500m on south, 5km on East. Due to the lack of interest of the OMs for the chase of grids on the satellites FM, I do not have any more specific setup in FM. 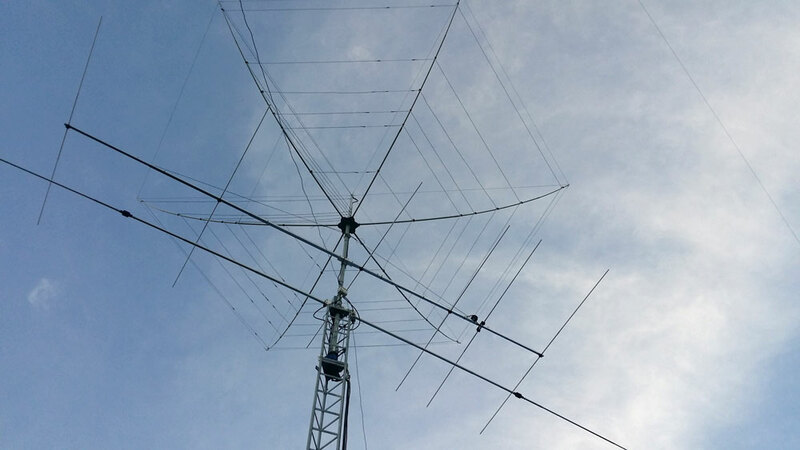 FS/FG8OJ / PJ7/FG8OJ Sat expedition in April 18. Guadeloupe is archipelago about 5 differents populated islands : Les Saintes, Basse-Terre, Marie-Galante, Désirade and where I am located Grande-Terre. This islands are located in the central part of the French West Indies at 16° at North at only 3000 km / 1800 miles from US East Coast. The climate is very hot with average temperature around 30°C / 85°F all the year and very sunny but with a hurricane season (August to october) that can be very rainy. The total area is 1600km2 / 629 sq mi and population is 400 000 but we are only around 20 actives amateurs radios ! 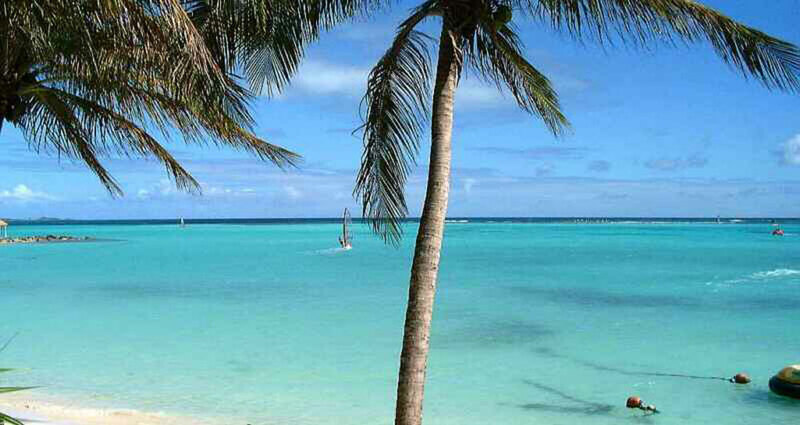 The official language is French, although many of its inhabitants also speak Antillean Creole. Guadeloupe is the ideal destination for family tourism, sports (sailing) and natural all the year but the best season is in winter. 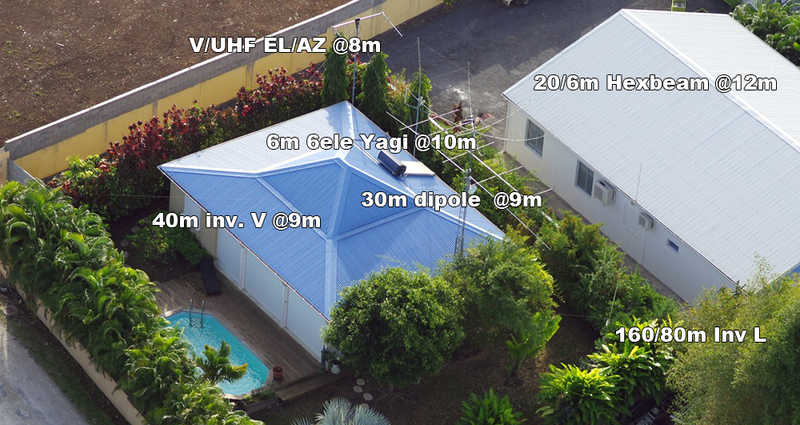 It is also a perfect place to make a hollyDXpedition since FG is very popular :-) If you have this project, let me you inform about vacations where you will be welcomed with your radio equipment ! For direct QSL, please, send a SAE with $2 (NO IRC). 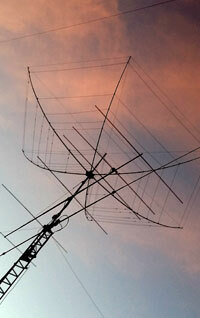 If you don't do this, QSL will be returned via bureau. My new paper QSL is a photography from the famous photographer Eric Corbel. F1BBI 20:28, April 9 7074.0 + tnx qso FT8,73.